We are offering Rubber Wood Core Veneer to our valuable clients. 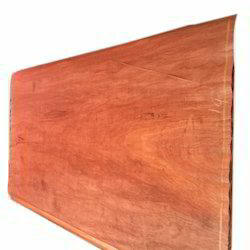 Plywood Core Veneer dried available in all thickness. Peeling done in spindless peeler. We are offering qualitative Rubber Core Veneer which are availed by us in order to meet the diversified expectations of our esteemed clients. The Core Veneer Wood is mainly required for making plywood, block board, doors, etc. We prepare Core Veneer Wood from varied raw materials. Keeping the diverse requirements of the customers in mind, our company offers Rubber Core Veneer. Our product is extensively used in manufacturing all kinds of ply including marine like boxes, cabinets and other wooden products. These products are tested on different quality parameters before dispatching to the market. Banking on our enriched industry experience, we are able to supply Rubber Core Veneer. We are amongst the most reputed names in the industry, offering Rubber Core Veneer. Veneer is a colored wood. It is a precious material which is applied with glue on the surface of furniture, Cannot be used in solid form in furniture manufacturing because of their limited availability, small size or difficulty in working. Veneering makes it possible to use such wood and bring beautiful look to the furniture. Our reputed entity is engaged in supplying Rubber Core Veneer. We are a top-notch organization, engaged in providing Rubber Core Veneers. In order to meet excellent quality standards, we are supplying Rubber Core Veneer. From our wide consignment, we are affianced in supplying Rubber Core Veneer.